Please fill in as many fields as possible. This will help us deliver an accurate quote. 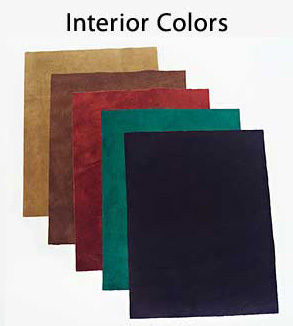 Exterior leather color You can find a selection of exterior colors available in this picture. (Click the picture for a larger size) Colors are approximate. Variations between dye lots and shortages of particular, more exotic, colors happen. Please type the name of your desired color. 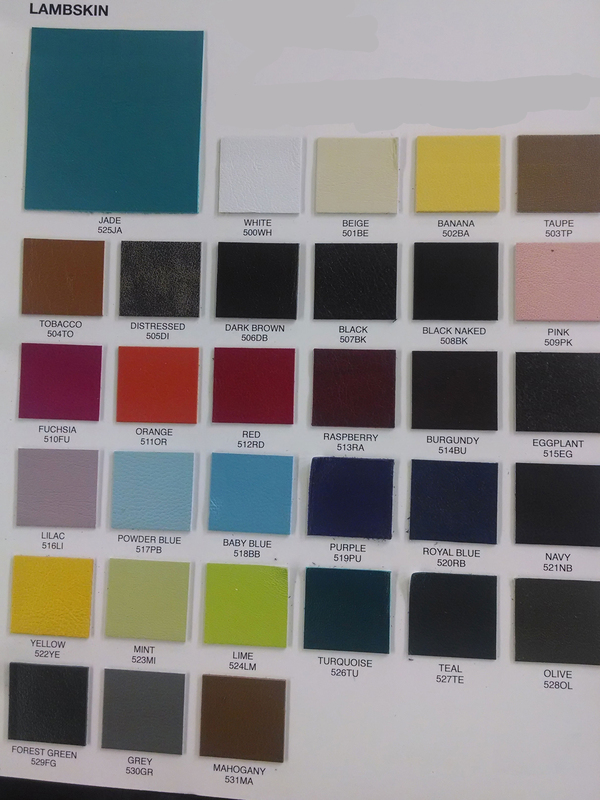 (Bearing in mind that the color swatches are there to give you guidance). These colors are very often *not available, but we can try. Interior suede color You can find a selection of interior colors available in this picture. (Click the picture for a larger size) Colors are approximate. Variations between dye lots and shortages of particular colors do happen. Inside is lined in suede. Default is black. Please use drop-down to indicate another color. If you do want an inscription, what is the text to be inscribed? Fill in this field with the initials or the name, exactly as you want them. Typeface: You can find a .pdf of available typefaces here: http://mayapplepress.com/wp-content/uploads/2017/10/Font-for-Leather-Binders-2015-copy-with-numerals-x.pdf Only these typefaces, exactly as shown. Please note that this is a hand made process, using generations-old dies. Only a few of the typefaces have numerals. Print out the .pdf at 100% to see the size as it will appear on the binder. Which typeface do you want? Which color for the inscription? Gold and silver are by far the best. We can try for other colors. This field defaults to Gold. Please tell us if you want a different color for the inscription. Where do you want the inscription? Front upper right and front lower right are the best choices. Front center can work for shorter inscriptions or initials, but can be a little less precise. We can also place the inscription on the rear cover. We cannot place the inscription on the spine.